Thankfully, there aren’t any major fires in Carbon Canyon, but you can still feel the thrill of piloting a Fire Truck by grabbing this free download. If you thought the fishtailing in some of the muscle cars was bad, wait until you’re trying to drive a vehicle over 30 feet long! This is not the car to use if you’re going up against a Lamborghini or Porsche or even a Dodge Charger, but go head-to-head with another Fire Truck or square off against the Dump Truck and add a new dimension to Need For Speed Carbon. Cool fireman uniforms not included. This is a free download for Need For Speed Carbon and is only available on Xbox LIVE Marketplace. There are no refunds for this item. For more information, see www.xbox.com/live/accounts. This free download for Need For Speed Carbon lets you get behind the wheel of a dump truck and tear up the road with brute power! If speed and style don’t interest you, then the Dump Truck is for you! Don’t expect tight handling, rapid acceleration or a blazing top speed – but do expect to overpower every other car on the road with size and strength. Whether you’re hauling dirt or gravel, or just taking it out for a joyride, grab the Dump Truck now to add a little size to your Carbon collection! 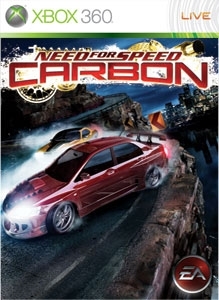 This is a free download for Need for Speed Carbon and is only available on Xbox LIVE Marketplace. There are no refunds for this item. For more information, see www.xbox.com/live/accounts. Put your personal stamp on ten of the hottest tuner cars on the planet. 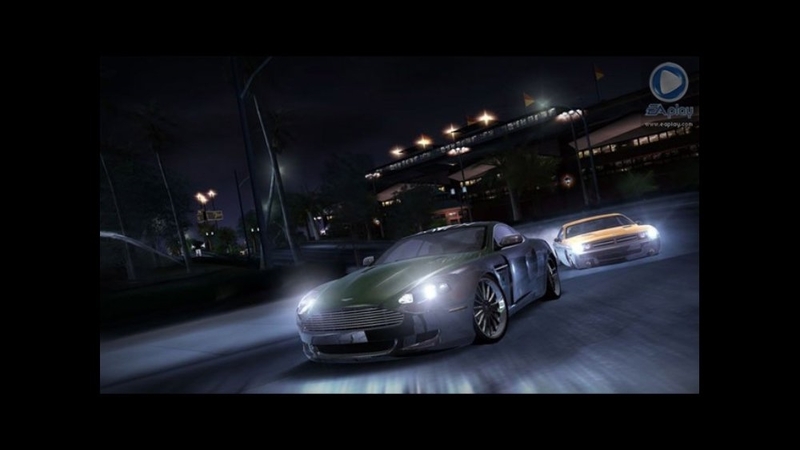 Unlock all these cars now, including the 2006 Infiniti G35, exclusive to Xbox Live Marketplace.This Tuner Car Bundle includes the following cars: 1999 Nissan Skyline GT-R R34, 2006 Volkswagen Golf R32, 2005 Nissan 350Z, 2006 Mitsubishi Lancer EVOLUTION IX MR-edition, 1995 Mazda RX-7, 2006 Mitsubishi Eclipse GT, 1998 Toyota Supra, 2005 Renault Clio V6, 2006 Infiniti G35, 2006 Subaru Impreza WRX STIExcept for the 2006 Infiniti G35, cars in this bundle can be achieved without purchase by progressing through Career. There are no refunds for this item. For more information, see www.xbox.com/live/accounts. 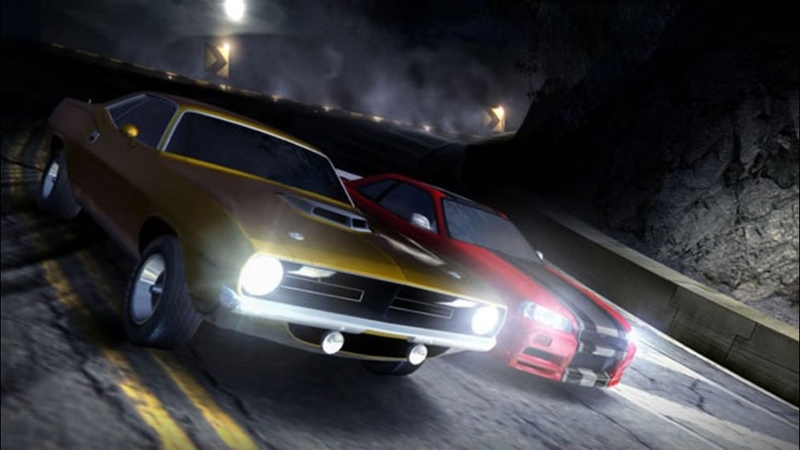 Feel the power of a tight 383 HP engine in this classic muscle car from Dodge, exclusive to Xbox Live Marketplace. This beast was Dodge’s answer into the Pony Car market, and the 1971 Challenger improved on the 1970 debut model in several areas. This car was used as the pace car in the 1971 Indianapolis 500 race and famously crashed into the press box near the start of the race, but any Need For Speed Carbon driver with some skills can keep it on the road and enjoy its raw power. There are no refunds for this item. For more information, see www.xbox.com/live/accounts. This sweet package features 52 upgrade kits for your tuner car collection. Nissan Skyline GT-R R34, Mazda RX-7, Mazda Mazdaspeed3, Mitsubishi Lancer EVOLUTION IX MR-edition Renault Clio V6, Mazda RX-8, Toyota Supra, Volkswagen Golf R32, Nissan 240 SX, Subaru Impreza WRX STI, Mitsubishi Eclipse GT, Infiniti G35, Nissan 350Z Many of the items in this bundle can be achieved without purchase by progressing through Career. Visual upgrades apply only to cars in My Cars and can be used in Career. There are no refunds for this item. For more information, see www.xbox.com/live/accounts. Get even more out of your exotic car collection with this bundle featuring 52 upgrade kits for the cars listed below. Kits are visual upgrade packages to the following base cars. Each car gets four upgrade kits that can be only used for that specific car. 2004 Lamborghini Murciélago, 2005 Mercedes-Benz SL65 AMG, 2004 Mercedes-Benz SLR McLaren, 2005 Mercedes-Benz CLK 500, 2005 Aston Martin DB9, 2006 Alfa Romeo Brera, 2004 Porsche Carrera GT, 2006 Porsche Cayman S, 2007 Jaguar XK, 2005 Ford GT, 2004 Lotus Elise, 2004 Lamborghini Gallardo, 2006 Porsche 911 TurboMany of the items in this bundle can be achieved without purchase by progressing through Career, Challenge Series and Reward Card. Visual upgrades apply only to cars in My Cars and can be used in Career. There are no refunds for this item. For more information, see www.xbox.com/live/accounts. This stylish ride combines speed and style. With an engine that can push almost 300 HP, you won’t be lacking for high-end speed, and the sleek lines and curves of the G35 make it easy on the eyes. This is a stable ride that hugs the road well – handling is superb and the suspension is taut, making for a clean ride exclusive to Xbox Live Marketplace. With sporty looks and a finely-tuned engine, the G35 is an excellent fusion of performance and appearance. There are no refunds for this item. For more information, see www.xbox.com/live/accounts. This instantly-recognizable classic is a mechanical marvel. The Porsche 911 Turbo sits low on the road and takes curves at lightning speed while having the sheer tuned power to accelerate from 0 to 100 MPH in just a few seconds. An aerodynamic shape allows for faster speeds and even quicker acceleration, and as far as Exotic cars go, Porsche has an iconic shape that tells your competitors that you’re serious about setting speed records. If you want a car that melds handling and top-end speed, you can’t go wrong with the Porsche 911 Turbo, exclusive to Xbox Live Marketplace. There are no refunds for this item. For more information, see www.xbox.com/live/accounts. When it comes to the perfect combination of style and speed, nothing matches these ten exotic beauties. Built by the world's leading manufacturers, these cars are designed to hug the pavement at top speed. Unlock all of these cars now, including the 2006 Porsche 911 Turbo, exclusive to Xbox Live Marketplace.This Exotic Car Bundles includes: 2004 Lamborghini Murciélago, 2006 Porsche Cayman S, 2004 Lamborghini Gallardo, 2004 Mercedes-Benz SLR McLaren, 2005 Mercedes-Benz SL65 AMG, 2004 Lotus Elise, 2004 Porsche Carrera GT, 2005 Aston Martin DB9, 2006 Porsche 911 Turbo, 2005 Ford GT Except for the 2006 Porsche 911 Turbo, cars in this bundle can be achieved without purchase by progressing through Career. There are no refunds for this item. For more information, see www.xbox.com/live/accounts. Nothing intimidates more than this ten-car combination of history, high performance, and horsepower. 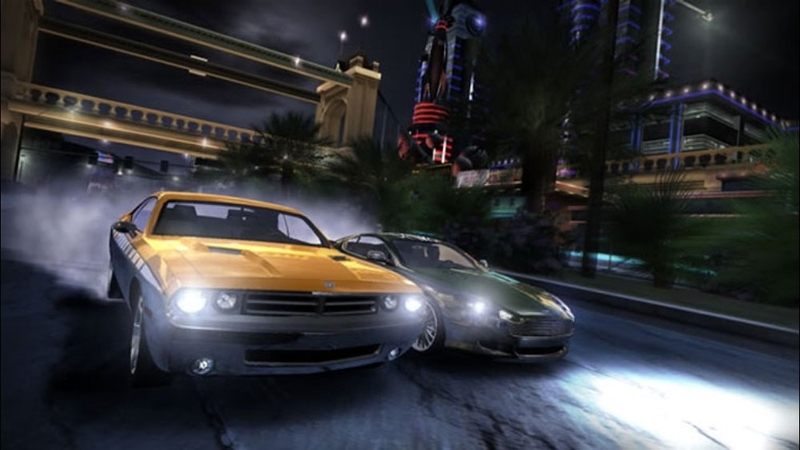 Unlock all of these muscle cars now, including the 1971 Dodge Challenger, exclusive to Xbox Live Marketplace.This Muscle Car Bundle includes the following cars: 2006 Corvette Z06, 1967 Shelby GT500, 2006 Mustang GT, 2006 Dodge Viper SRT-10, 1969 Dodge Charger R/T, 2005 Vauxhall Monaro VXR, 1971 Dodge Challenger, 2006 Dodge Charger SRT8, 2008 Challenger Concept, 1970 Plymouth® Hemi® CudaExcept for the 1971 Dodge Challenger, cars in this bundle can be achieved without purchase by progressing through Career. There are no refunds for this item. For more information, see www.xbox.com/live/accounts. Kits are visual upgrade packages to the following base cars: Corvette Z06, Mustang GT, 1967 Shelby GT500, Dodge Viper SRT-10, Dodge Charger SRT8, Dodge Charger R/T, Dodge Challenger Concept, Chrysler® Hemi® 300C® SRT8, Camaro SS, Vauxhall Monaro VXR, Plymouth® Hemi® Cuda, Dodge Challenger Many of the items in this bundle can be achieved without purchase by progressing through Career. Visual upgrades apply only to cars in My Cars and can be used in Career. There are no refunds for this item. For more information, see www.xbox.com/live/accounts. Unlock the 2006 Pagani Zonda for your immediate use in Need for Speed™ Carbon, exclusive to Xbox Live Marketplace. This is the epitome of exotic styling, unmatched performance, and luxury. The Zonda's screaming-fast engine tops out in no time with this exotic European beauty. There are no refunds for this item. For more information, see www.xbox.com/live/accounts. Unlock the 2006 Shelby GT500 for your immediate use in Need for Speed™ Carbon, exclusive to Xbox Live Marketplace. Push this car to the limit and listen to the massive roar of its mighty engine. Along with plenty of power under the hood, the Gallardo’s sleek line lets you know right away it was built to look good at any speed.There are no refunds for this item. For more information, see www.xbox.com/live/accounts. To make sure your car looks good from the top down, why not start with the roof? Customize the look of your car’s roof by unlocking all the Roof Scoops in the game when you snag this bundle.Many of the items in this bundle can be achieved without purchase by progressing through Career, Challenge Series and Reward Card. Visual upgrades apply only to cars in My Cars and can be used in Career. There are no refunds for this item. For more information, see www.xbox.com/live/accounts. Unlock the 1987 Toyota Corolla GTS AE86 for your immediate use in Need for Speed™ Carbon, exclusive to Xbox Live Marketplace. A benchmark vehicle for the tuner culture, the rear-wheel drive Corolla set the standard for Japanese performance vehicles. There are no refunds for this item. For more information, see www.xbox.com/live/accounts. For high-performance, high-styling variety in your life—and on the road—take a look at this hot package. 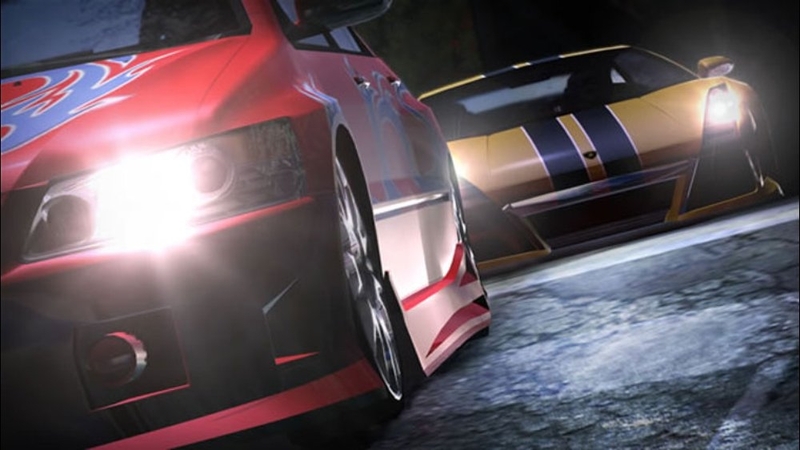 Unlock all these cars now, including two Xbox Live exclusive cars, the 1987 Corolla GTS and 2006 Pagani Zonda F.This Custom Car Bundle includes: BMW M3 GTR, 2004 Lexus IS300, 1987 Toyota Corolla GTS, 1970 Chevelle SS, 2006 Lotus Europa S, 2006 Pagani Zonda FExcept for the 1987 Corolla GTS and 2006 Pagani Zonda F, cars in this bundle can be achieved without purchase by progressing through Reward Card. Custom Cars are pre-tuned and can not be modified further with Performance upgrades. There are no refunds for this item. For more information, see www.xbox.com/live/accounts. Assuming you’ve got what it takes under the hood, give your car some flash in the looks department by unlocking all the Hoods available in the game. From contours to vents, get the Hoods Bundle now to trick out your ride. Many of the items in this bundle can be achieved without purchase by progressing through Career, Challenge Series and Reward Card. Visual upgrades apply only to cars in My Cars and can be used in Career. There are no refunds for this item. For more information, see www.xbox.com/live/accounts. Get the aerodynamic edge by building the sleekest machine on the planet. Now you can unlock every possible front and rear Spoiler in the game by getting the Spoiler Bundle. Many of the items in this bundle can be achieved without purchase by progressing through Career, Challenge Series and Reward Card. Visual upgrades apply only to cars in My Cars and can be used in Career. There are no refunds for this item. For more information, see www.xbox.com/live/accounts. Can’t decide between the Muscle, Tuner, or Exotic bundle? Get the best of all worlds with this Custom Bundle featuring all three car types. Unlock all of these cars now including the 2006 Shelby GT500, exclusive to Xbox Live Marketplace.This Custom Car Bundle includes: 2005 Pontiac GTO, 1999 Mitsubishi Eclipse, 2007 Lamborghini Murciélago LP640, 1969 Plymouth® Road Runner, 2006 Porsche 911 GT3 RS, 2006 Shelby GT500, 1995 Toyota MR2Except for the 2006 Shelby GT500, cars in this bundle can be achieved without purchase by progressing through Reward Card. Custom Cars are pre-tuned and can not be modified further with Performance upgrades. There are no refunds for this item. For more information, see www.xbox.com/live/accounts. 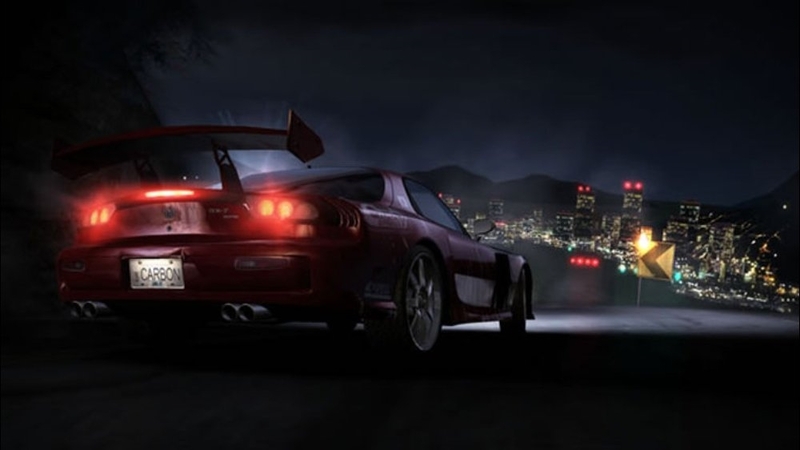 Unlock the 1998 Toyota Supra for your immediate use in Need for Speed™ Carbon. A benchmark vehicle for the tuner culture, the rear-wheel drive Supra set the standard for Japanese performance vehicles with its twin-turbo, six-cylinder beast of an engine. Because this was the last year Toyota distributed the Supra in the U.S., it's become a cherished collectable for racing enthusiasts around the country. This car can be achieved without purchase by progressing through Career.There are no refunds for this item. For more information, see www.xbox.com/live/accounts. Unlock the 2006 Nissan 350Z for your immediate use in Need for Speed™ Carbon. A tuner with the power of a muscle car, the 350Z is equipped with a powerful engine that dominates not only off the line, but also at top speed. Its aluminum engine block and lightweight carbon fiber reinforced plastic driveshaft reduce its overall weight to provide unparalleled responsiveness. This car can be achieved without purchase by progressing through Career.There are no refunds for this item. For more information, see www.xbox.com/live/accounts. 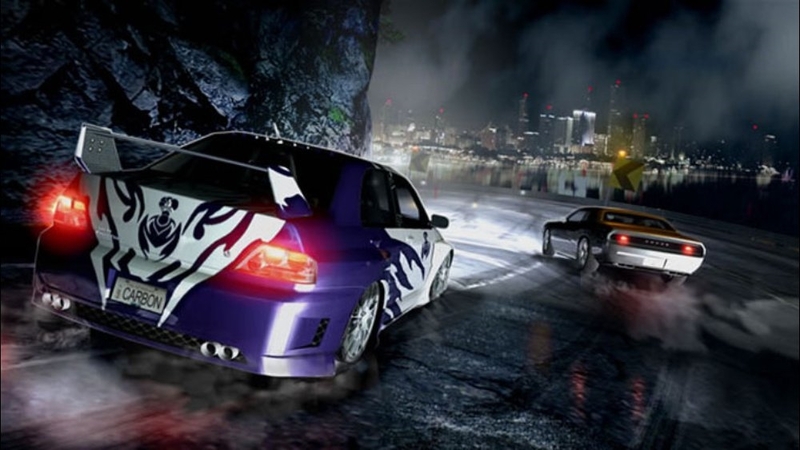 Unlock the 2006 Subaru Impreza WRX Sti for your immediate use in Need for Speed™ Carbon. This all-wheel drive tuner's turbocharged boxer engine produces blinding horsepower. In its first year of production, the WRX Sti won multiple awards, edging out several highly touted sports cars, including the 2006 Porsche 911 GT3 R3. This car can be achieved without purchase by progressing through Career. There are no refunds for this item. For more information, see www.xbox.com/live/accounts. 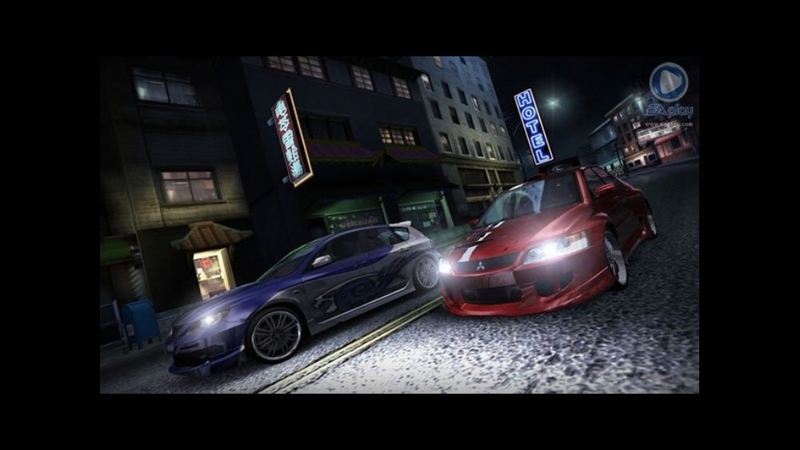 Unlock the 2006 Mitsubishi Lancer EVOLUTION IX MR-edition for your immediate use in Need for Speed™ Carbon. Mitsubishi drew on its storied rally racing legacy in designing the Lancer Evolution IX MR. Evolving from rally car stock, the Evo IX features all around elite performance with all-wheel drive. This car can be achieved without purchase by progressing through Career. There are no refunds for this item. For more information, see www.xbox.com/live/accounts. Unlock the 1970 Plymouth® Hemi® Cuda for your immediate use in Need for Speed™ Carbon. Plymouth® definitely got it right with this third generation Barracuda. With a burly 426 cubic-inch hemi, seasoned drivers could push this legendary muscle car to the limit. Let’s see what you can do with it on the road and in the canyons. This car can be achieved without purchase by progressing through Career. There are no refunds for this item. For more information, see www.xbox.com/live/accounts. Unlock the 1967 Shelby GT500 for your immediate use in Need for Speed™ Carbon. Featuring one of the most famous names in muscle cars, the classic Shelby GT500. It separates itself from the rest of the herd with a unique front end featuring hood scoops and center-mounted lights. This car can be achieved without purchase by progressing through Career. There are no refunds for this item. For more information, see www.xbox.com/live/accounts. Unlock the 2006 Chevrolet Corvette Z06 for your immediate use in Need for Speed™ Carbon. An absolute blur on the road, the Z06 goes zero to 60 mph in no time. Prior to release, GM claimed the stylish Z06 to be their fastest production vehicle ever built. This sleek machine is powered by a truly unique V8 engine. This car can be achieved without purchase by progressing through Career. There are no refunds for this item. For more information, see www.xbox.com/live/accounts. Unlock the 2004 Lamborghini Gallardo for your immediate use in Need for Speed™ Carbon. Push this car to the limit and listen to the massive roar of its mighty engine. Along with plenty of power under the hood, the Gallardo’s sleek line lets you know right away it was built to look good at any speed. This car can be achieved without purchase by progressing through Career. There are no refunds for this item. For more information, see www.xbox.com/live/accounts. Unlock the 2004 Porsche Carrera GT for your immediate use in Need for Speed™ Carbon. Take this vehicle for a test drive and you might never come back. Combining elegant design and supreme performance, this sleek machine features a powerful engine designed to race with the best. This car can be achieved without purchase by progressing through Career. There are no refunds for this item. For more information, see www.xbox.com/live/accounts. 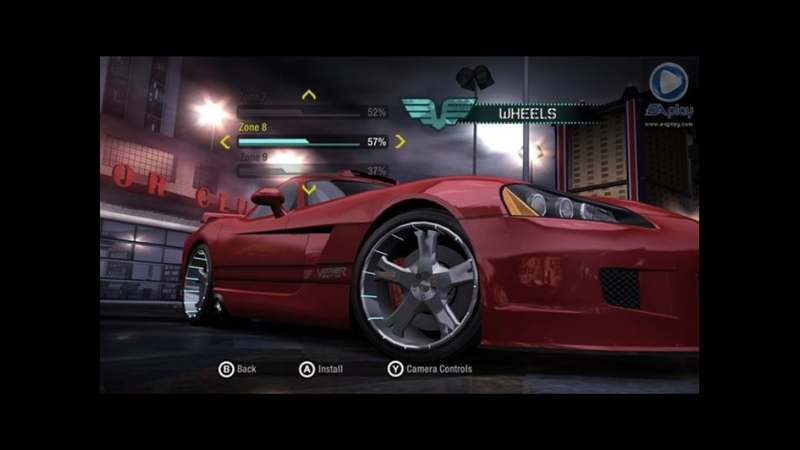 Unlock the 2004 Mercedes SLR Mclaren for your immediate use in Need for Speed™ Carbon. While paying homage to the SLR race cars of the 1950s, the Mercedes SLR McLaren is a unique blend of high performance and classic Mercedes-Benz style. This car can be achieved without purchase by progressing through Career. There are no refunds for this item. For more information, see www.xbox.com/live/accounts.